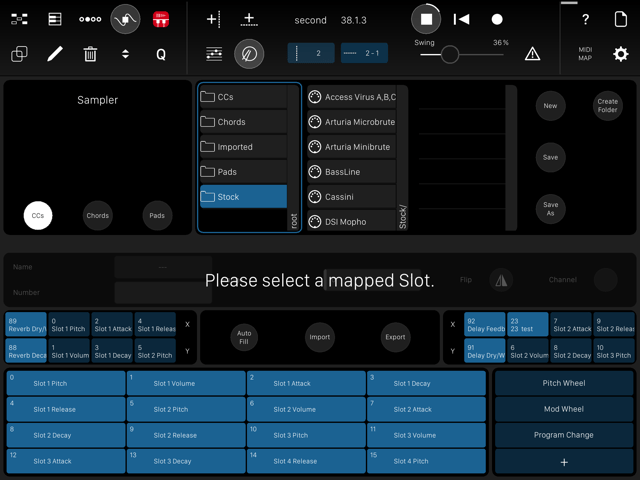 Modstep Review From a Purely 100% iOS Musician Perspective – The Best iOS Sequencer Yet? There’s been a lot of buzz around the new Modstep iOS app, released just before Christmas by the developers also responsible for the well-regarded touchAble and Studiomux apps. The app store description claims it is a “Modulation Monster and the first full-blown MIDI sequencer for the iPad”. 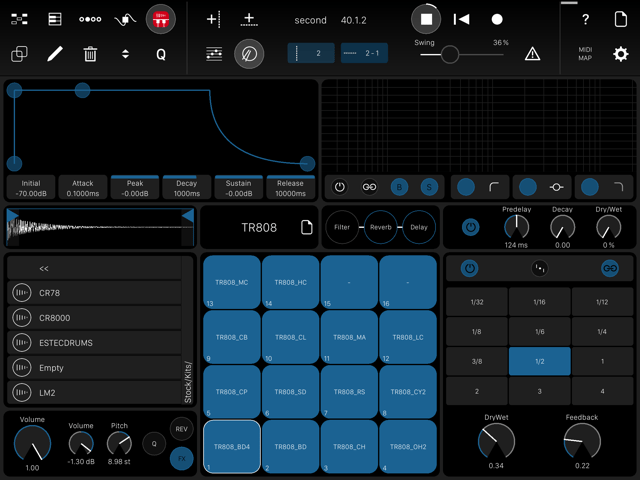 Can Modstep be the answer for those of us wanting to use a single iPad app as the ‘MIDI brain’ for multiple apps, hardware, software synths and DAWs – all playing nicely in sync with each other – either for live use or studio composing? And ultimately, is it the best iOS sequencer yet? Before I get stuck in, I better come clean about what I have, and haven’t tried out personally with Modstep. I’m a 100% iOS music producer. 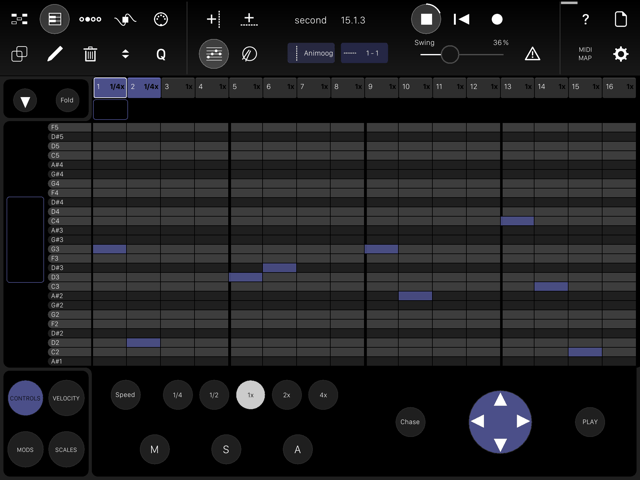 I love the mobility, affordability and touch-based creativity of making music purely on an iPad. I’ve heard good things, actually, about people using Modstep to sequence both hardware and computer software, and I know that’s a priority for the developers – but I’ll let other reviewers tackle this aspect. My interest is how Modstep performs as a multi-track sequencer driving any number of great music apps on my iPad as well as its own internal sample-based drum machine and subtractive synth. Modstep’s ‘Session View’ (essentially it’s ‘home page’) is based around a ‘virtually unlimited’ (CPU withstanding) grid of tracks (columns) and ‘clips’ (rows). Tracks can be MIDI tracks, ‘Interapp Audio’ 3rd party iOS app tracks, or instances of Modstep’s internal sampler or synth. Clips are similar to Ableton style clips. They contain up to 256 Steps divided into 16 Patterns which can be activated separately. Although not technically true (because you can play with different time signatures, speeds of playback, and knock out steps) you could start by thinking of a ‘pattern’ as a bar of music split into a resolution of 16 steps (16th notes). A clip can contain 16 of these patterns – so by default you can have a clip play 16 bars of music before it loops back round. As with Ableton and other clip-launching apps, on the Session View page you can activate or deactivate these clips (quantising their start times in time with your track) to your hearts content across the grid of clips and tracks. You can also activate whole rows, but there’s no song mode (yet). So far, so good – but other midi sequencing apps like ProMidi, Genome and Auxy have already let you achieve this. However, I’ll come to how Modstep takes this paradigm quite a bit further after I quickly deal with the piano roll page. The Piano Roll page lets you write you music into each clip, and by and large, it’s great. Everything you need is there, and all implemented very nicely for touch. You can tap in, select, move , extend and contract, copy and delete notes with absolute ease. You also have various musical key/scales you can restrict the piano roll to and velocity per step. A real strong point, in my opinion, is the modulation (automation) lanes that you can also bring up on this page. You can modulate any (and multiple) MIDI cc just by ‘painting in’ curves with your finger (and deleting with an eraser tool). It’s probably the best touch implementation of automation I’ve come across on iOS and depending on your style of music this can be as important as entering notes. You can zoom horizontally (up to the full 16 patterns on one screen) and vertically to take in more octaves. You can also switch to drum mode – which gives you a view of 16 drums (or instruments) on the y-axis – but other than that works in much the same way. My one confusion here was that I’d expect that a note entered in piano roll mode that also maps to a drum hit note would have come up in drum mode – but it seems they don’t carry over. Not a huge deal. Now the clever, but slightly tricky to get your head around, thing about Modstep is you can get into these clips and mess with their composition on the fly, pattern by pattern. So if we take the basic 16 bar clip example, in the step sequencer page, after bringing up the ‘patterns’ tab, you can select and deselect any of those 16 bars (patterns). You can have it just loop round the first two bars, then just play odd bars, not even ones, jump from the first to the sixteenth bar… etc etc… And you can change all this up on the fly. Bear in mind also that patterns don’t necessarily equal bars of music. Patterns are just anything from 1 to 16 steps and can be played back at different multiples of the tempo speed – on a per pattern basis. So, if and when you get your head round that – riffing with just one clip in the step sequencer page can create a huge variety of diverse but related phrases. Great for live play and jamming ideas. The Step Sequencer page does a lot more than this too – this is just the aspect I find most revolutionary. It lets you enter values (notes or drum hits) for each pattern in a more traditional step-sequencer (rather than piano roll) interface in the upper half of the page. It also lets you deactivate individual groups of steps on the fly using the ‘active steps’ function and shift the pattern left or right by a set number of steps. Other alternatives to the ‘patterns’ tab in the lower part of the page include, ‘keys’, ‘pads’, ‘chords’ and ‘scales’. The first three allow you to live play (and record) using an 8 x 8 grid of sample-style pads, defined chords or an isometric key pad. A ‘note repeat’ button allows you to play automatically repeated notes at different quantised speeds (this is quite nice for ad-libbing). The scales tab just lets you change the key/scale applied to this clip. Finally, there’s two X-Y pads available on this page which you can assign 4 MIDI-cc values to allow you manipulate different sound parameters of whatever you’re sequencing. 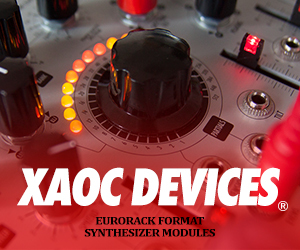 This is great – since you can morph and mod the sound while simultaneously changing up the patterns, and even adding extra hits via the pads if you like. One of the first things I did was create a few simple patterns to point at my beloved Animoog synth app which I loaded as an IAA instrument. I then mapped 4 MIDI cc to 4 well-chosen knobs on the Animoog interface and assigned these to the 2 X-Y pads. I was able to record a set pattern of cc modulation over the active patterns in Modstep (redrawing these curves with my finger if required). While this recorded modulation looped, I was even able to occasionally deviate from the modulation pattern – very smoothly – overriding it with the X-Y pads. 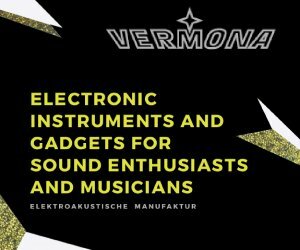 Try that with four well-chosen parameters of Animoog across a looping phrase or two and… full joy. This is where things get configured. I’ll leave it to the manual to go into detail here – but here you can set up your MIDI cc, chord presets and which notes you want to send. Modstep ships with quite a long list of pre-configured MIDI cc templates for some iOS music apps (e.g. Thor, iPolysix and iMS-20) and also hardware synths and drum-machines (Moog, Korg Volca, Arturia, etc.). You can also create your own and save them. You then decide on your favourite 4 ccs to assign to each of the 2 XY pads. In the performance orientated step sequencer page it’s then easy to very quickly switch between which 2 ccs each pad is controlling. This is all nicely thought out. I also had a little bit of a think and a poke around and have come up with some interesting ideas to try to set up a template to get the most out of the step sequencer page. Typically you’d probably want the step sequencer page to give you pattern and cc tweaking access to a single instrument, along with the ability to ad lib or lay down chords, single note and pad hits. 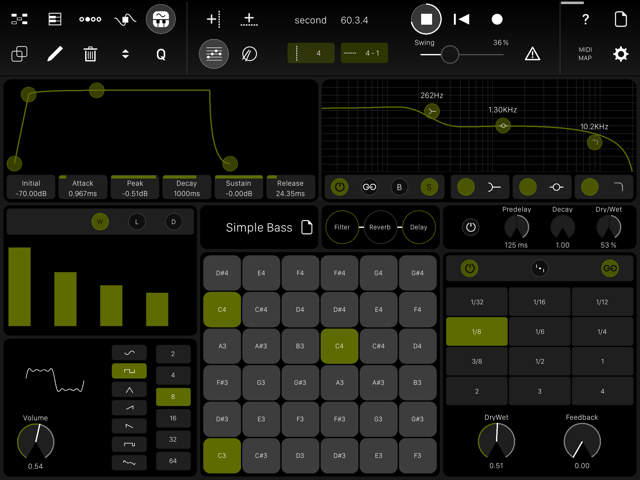 And if you want to play another app/instrument – then you move over to its step sequencer page. That’s all good – and how Modstep would work by default. And I think this would be just about possible with some clever authoring of templates. You could, for example, have the main instrument (say your synth) on the track sequenced with patterns as explained above – and assign a couple of ccs for good measure. But you should be able to assign a few more ccs that are pointed to other midi channels and have these modulate another instrument (say your drum app). 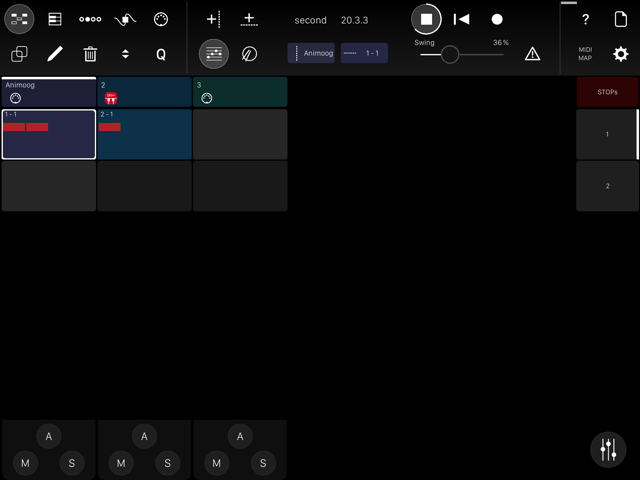 What’s more – you should also be able to set up some pads pointed to another app entirely – perhaps triggering some one-shot vocal samples – from the 16 pad panel on the step sequencer page. So your synth’s step sequencer page also gives you some tweaking access to your drums and lets you fire off samples – and you could then ensure your step sequencer pages for your drum track and your sampler track similarly had some ccs and pads cross-assigned. This is only relevant for live play – but I know that many live performers will have a keen eye on Modstep for just this very purpose – so I hope the above tangent makes at least some sense. If not, buy it, have a play and you’ll see what I mean! The last of the main ‘pages’ has a dual status. If you have IAA app loaded on your track, then it simply links you off to that app (and if you are just sending out MIDI then the page is disabled entirely). However, you can also fire up instances of Modstep’s internal instruments and if a track uses one of these – this is where you get access to it. Modstep has two instruments itself – an additive synth (with one oscillator and up to 64 harmonics) and a sample based drum machine – and you can have unlimited instances of each (depending on your device’s performance). I’ve found time to have a bit of a play with the internal synth… and although basic, I think it would be possible to get quite a lot out of it. 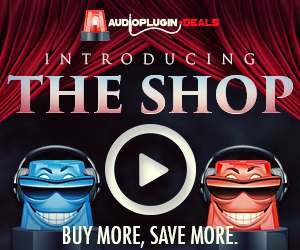 A fantastic harmonic waveshape type button at the bottom which allows you to create completely custom waveshapes and tones. an LFO either synced or unsynced with standard wave shapes (although no S&H) and with an attack and delay – which I thought was tied to the filter cut off – but I’ve read elsewhere might be tied to just to volume. 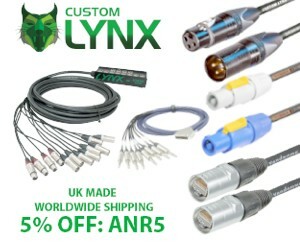 All in all, you can make a pretty respectable range of sounds – presumably at a fairly low-performance overhead. It also comes with, maybe 20 or more stock presets. The cool thing, of course, is you can have as many instances of this synth as you like. And the other cool thing is that every single synth parameter is automatable very easily with the two x-y pads or drawn in automation. This makes it all feel very ‘Korg Gadget’. The sampler I’ve spent less time with – mainly because I prefer to have my drums synthesised live with a drum synth app. By all accounts it’s basic – but it has most things there – especially since this is early days for the app. You get a number of kits of drum samples (the usual electronic drum kits) and have the ability to load in your own samples as .wavs. There’s 16 pads and a per pad pitch, volume, reverse, FX send on or off, and pitch quantization on or off. There’s also non-destructive editing of sample start and finish points. As with the synth, there’s an adjustable onboard effects chain involving a filter, reverb and delay. Oh, and there’s ADSR per sample too – which is nice. In answer to the question ‘is Modstep the best iOS sequencer yet?’ I’d say, very possibly. It’s certainly the most fully featured and it gets an awful lot right in terms of well designed UI (which is essential on a small iPad screen and when working with touch). Right now Modstep may not be the answer to ALL possible sequencing, synthesizing and sample playing needs. However, the developers should be applauded for trying to come up with the kind of ‘one stop shop’ app that makes things a whole lot easier on iOS (where it can be a real pain stringing lots of apps together). Let’s also keep in mind that we’re talking of a 1.0.x release of a VERY complex app. Recent and forthcoming updates bring the ability to record, track by track, audio of both IAA and internal instrument as separate audio files (all nicely quantised) as well as IAA out, 8 audiobus out endpoints and the new Ableton Link super sharp tempo syncing feature. Modstep has the potential to be very, very good indeed, if the developers keep tending to it and listening to users. Modstep is a great step forward for step sequencing. Your next step is to buy it and thereby support its further development. We’ll have more on Modstep soon, so stay tuned. Thanks Matt for this breakdown, as always I learned a lot! You will probably find that you can only record up to 16 patterns worth of playing – and that will limit how long you improv can be. You should be able to then loop it, yes. And now that ModStep has Link it should sync very nicely with other apps that also have Link (more are coming on stream all the time). Otherwise you have to use midi tempo sync – which can be pretty hit and miss sometimes. With Audiobus and the new update (1.02) you should be able to record audio into Auria. As always – read the manual for ModStep to check it will do exactly what you want and then take a punt if you feel happy it can. Stringing together apps on iOS is always tricky so I can’t absolutely promise anything will work – you just need a find a set-up that works for! Great review but missing a major point! I must add that Modstep has no Midi import which is a pretty big oversight. It’s why I wouldn’t recommend it over the other midi sequencers out there. I see in the comments above someone is already asking about recording midi. They wouldn’t have to do that if midi import existed in the first place. I’ve also heard there are still some clock issues and the tempo settings only now are able to be really tested with the new 1.0.2 release. This is another huge oversight by the developer. Perhaps with Ableton link, only now may we be able to get on with using this potentially ground breaking app. Not to mention the lack of tutorials or Q&A. It’s not there yet though despite your well written review. We’ll see if future updates make or break the app.